Kimcheelicious: Three Cheers for the Gluten-free EatUP! 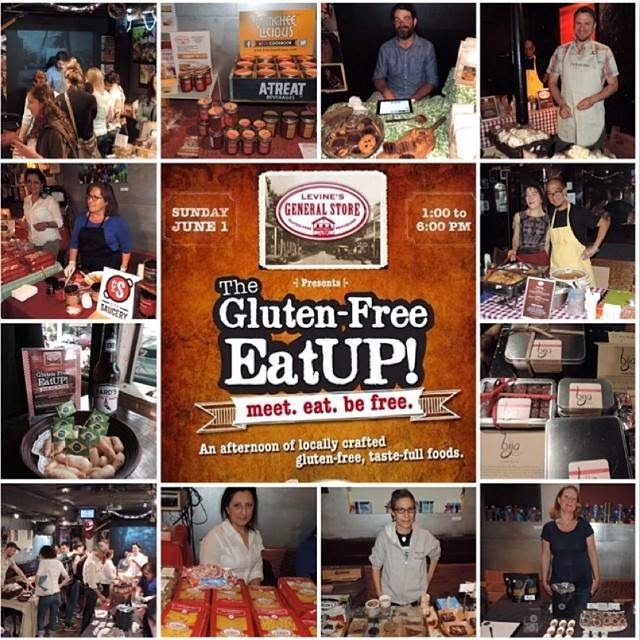 Thanks to all who made The Gluten-free EatUP! a summer hit, and special thanks to Amanda Placensia of News 12 Interactive for the wonderful media bump! GFEU returns to Freddy’s Bar on Sunday, July 13. More vendors, more GF foods and more good times. The Gluten-free EatUP! is an event sponsored by Levine’s General Store, a provisioner of fine gluten-free foods.